I know I briefly mentioned Hamburg in a previous post, but now that I have internet again, I will try to describe Hamburg a little better. Just to be clear, my attempt to describe the places I see does not do them justice. It is so better and different to actually see and experience these places. My friends, Alec, Lexi, and Anna, are all part of a study abroad group from San Diego State University. The group is called IUSP. The group administrator has allowed friends of group members to participate in the group activities and travels so that has really made my vacation awesome. Last weekend was their scheduled road-trip to Hamburg. On Friday, two days after I arrived, the group met up at the Elizabeth Church where we piled into a chartered bus for a 6-hr ride to Hamburg. I knew nobody, but the cheery and outgoing Lexi introduced me to everyone. The bus ride was actually horrible. It was long, and there was no room to stretch out and sleep – the two things I wanted most after my long flight. It was also disheartening to feel like you’re making good time on the Autobahn only to see a Mercedes, Bentley, or Ferrari just go tearing by in a blur. How I envied those drivers. In vain, I wished upon my genie to have my car here. I wanted to fly along the Autobahn at 160mph and still watch a bike go by me. By the time we arrived at out hostel in Hamburg, I was so sleepy. Before I came to Europe, when I heard the word “hostel”, I imagined some windowless and cramped room with a worn mattress on a creaky bed. In Hamburg, I was wrong. The hostel was nice. It was like a typical hotel room only with bunk beds. 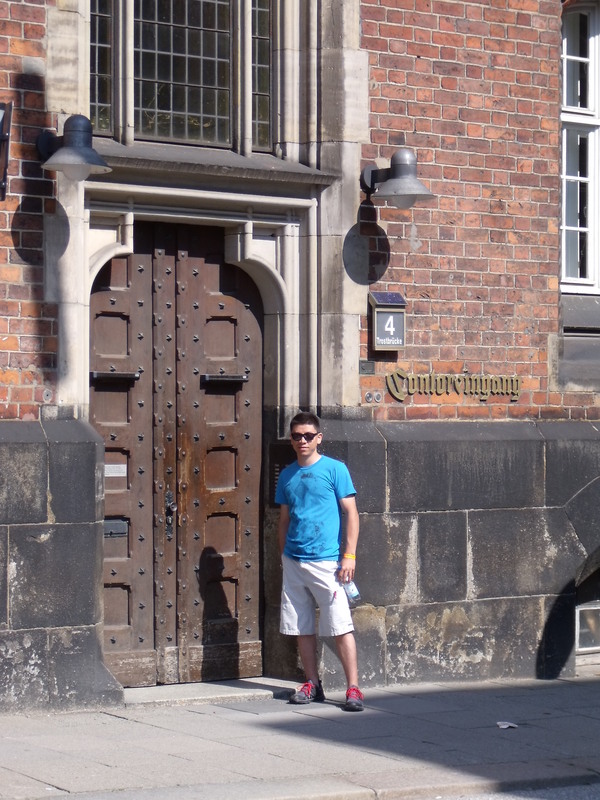 The official group tour was scheduled for Saturday leaving us the rest of Friday to roam about Hamburg as we pleased. The main priority for me was to find a bank or a place to exchange my useless dollars. Friday evening the IUSP group split up and headed into town. Our group headed straight to the Hauptbahnhof (town center) and then on to the Harbor area where we split up again according to our food preference. Alec, Lexi, and I went to Cha Cha’s – an Asian cuisine. There I ordered a duck meat soup. Don’t judge me, even though I ordered Asian food in Germany. The soup was probably the best I’ve had. The next morning was our tour through the city and then on the river. 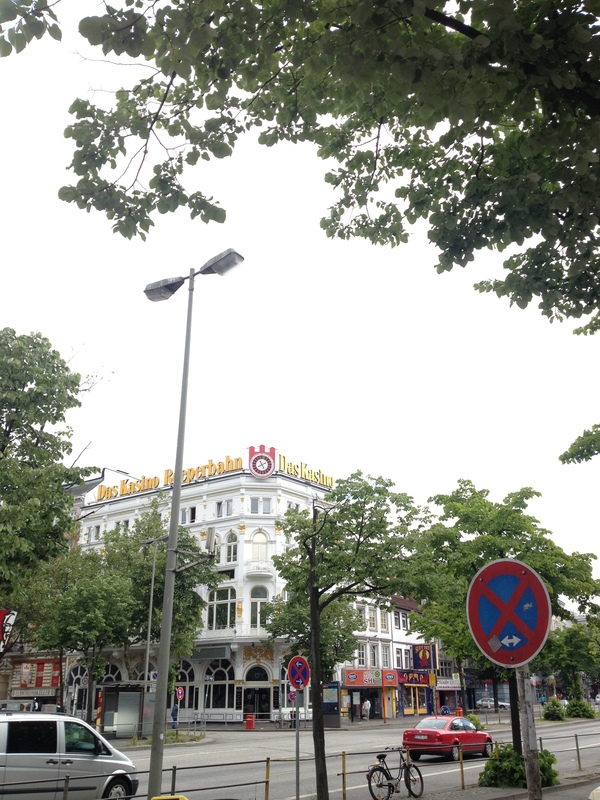 We saw most of the city along with the Reeperbahn. 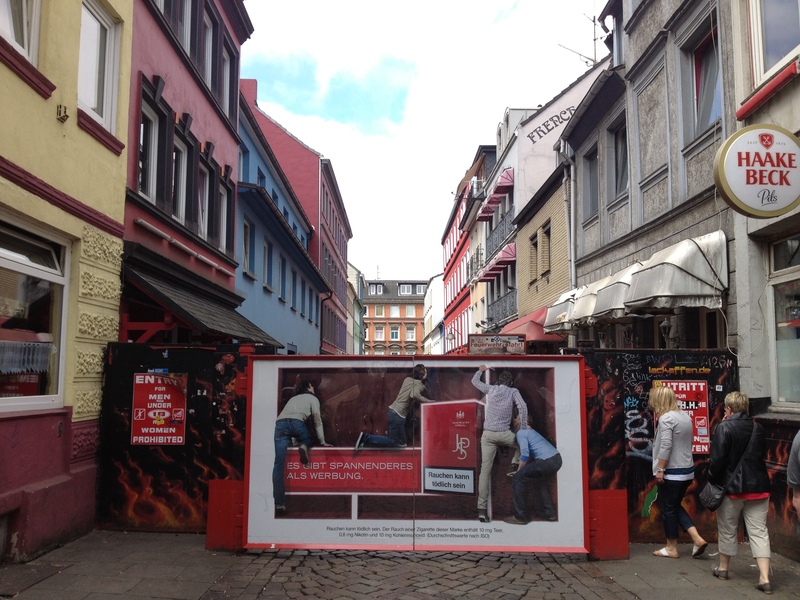 The Reeperbahn is Hamburg’s red-light district – a place I had to see. Emphasis on the word “see”. So in the morning we walked down to the Reeperbahn. It’s practically two streets isolated from the general public by a red poster-ridden wall. Women are not allowed inside, and only guys 18+ are allowed in. No one was there to check ID or even make sure that women didn’t go in. A couple older ladies giggled as they peeked around the wall. Only “working” women allowed. The women on the right seemed quite delighted to peek around the wall. Since it was morning, the streets were deserted and most of the booths in the windows were open. But there were three girls sitting in the windows, all who beckoned me to enjoy their offered wares. It was odd to be so openly and legally propositioned, but I, of course, politely declined, happy enough with the view. Hamburg had so many places to see. There are bombed churches from WW2, statues from hundreds of years ago, and St. Pauli’s beach. It is impossible to write about each place, sight, or experience. Even with the hundreds of pictures I took, I feel as if I missed most of Hamburg. I think this is another appropriate time to quote Gen. MacArthur: “I shall return”.